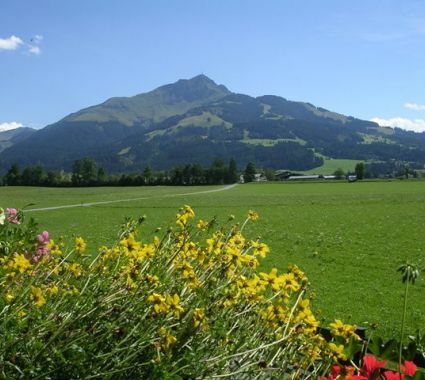 Surrounded by lovely meadows and set against the backdrop of the Wilder Kaiser and the Kitzbüheler Horn, our Tyrolean-style guest house is only three minutes away from Kirchdorf and St. Johann. 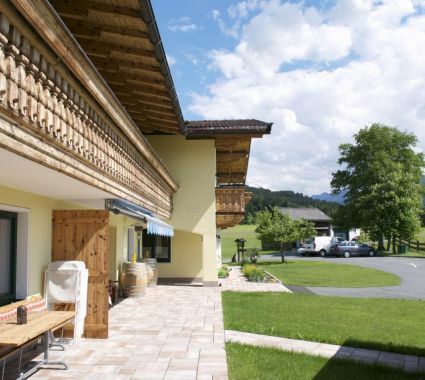 The house is in second-generation family ownership, and is well-known for its familial flair and typically Tyrolean hospitality. And we’ve got lots of room for you: the building is surrounded by green lawns, with sandbox, swing and trampoline; our basement offers a table-tennis-room and table soccer. 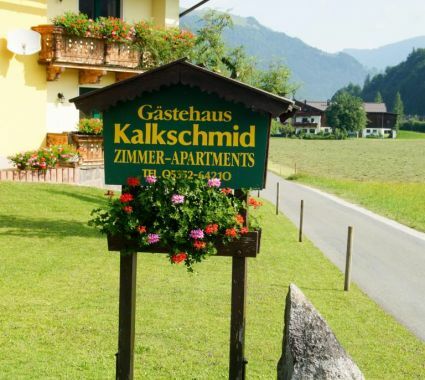 One of the very special characteristics of the Kalkschmid guest house is the friendly and communicative atmosphere, including both guests and hosts. A special wintertime-highlight is direct access to the local cross-country network, connecting the entire holiday region. The network consists of 250km of excellently groomed runs. Our house was built in the 70s, but since then has been modernised and expanded continuously. 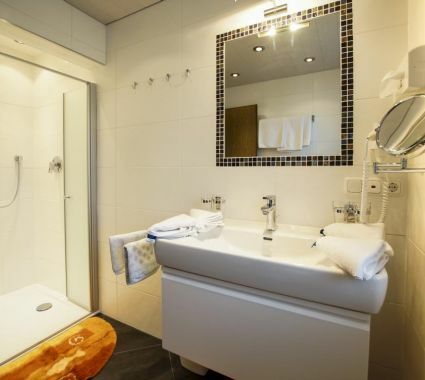 All rooms are equipped with showers/WC and SAT-TV, partially with balconies and wheelchair-accessible. 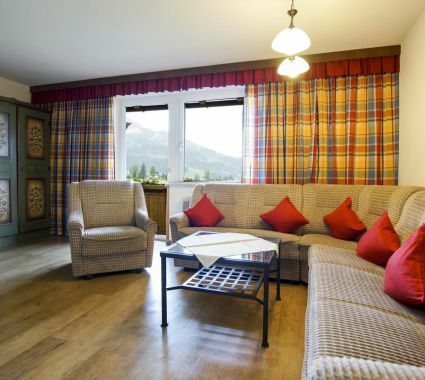 Whichever room you choose, the rate always includes a fantastic view of the Kitzbüheler Horn or the Kaisergebirge – both equally breath-taking. Wi-Fi available | If you’d like to bring your dog, please do let us know in advance. Throughout the guest house, revitalised water is used. This so-called Organo Water has similar qualities to natural spring water, and contributes to your regenerating during your stay. It also promotes restful sleep and generally increases wellbeing. Even if you’ve planned your holiday months ago and look forwards to it – unforeseeable events do happen. We suggest that you take out an insurance that will pay for your hotel’s cancellation fees. 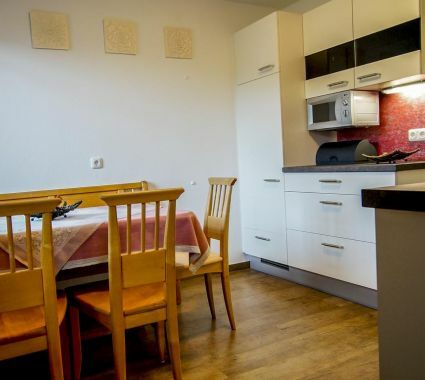 We can take care of this for you, for your entire holiday in Austria.